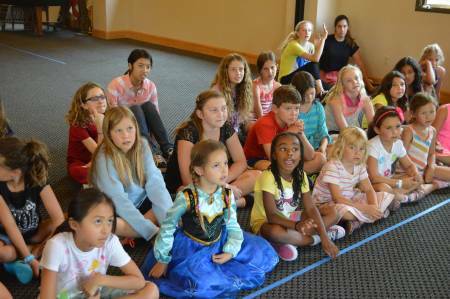 We at PAW are dedicated to providing our campers with exceptional summers of learning, exploration, and enrichment. PAW’s Family Info Center is your resource to ensure that your child’s experience is as welcoming, rewarding, and as awesome as possible! 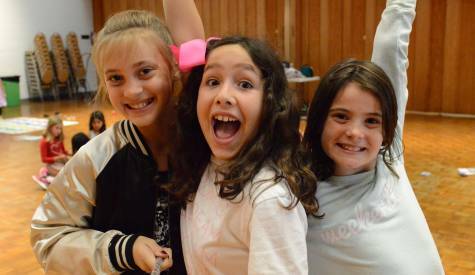 Here, you will find your most important camp information including camp hours, drop off and pick-up times, sign in and sign out procedures, camp attire, food-packing guidance, allergies protocol, show day and costume info, camp fun facts, and so much more, all on one, easy to use page! many of which have been published in LA Parent Magazine. Our doors open every morning at 8:00am, with complimentary supervised playtime until 8:30am, and the camp day begins at 8:45am. We kindly ask that all campers be at camp and ready to go by 8:40am so that we can make sure to fit as much fun and learning into the day as possible, and so that nobody misses our daily morning warm-ups and activities! NO child may be dropped off at any PAW Camp Location prior to our doors opening at 8:00am. ALL campers must be signed in each day. 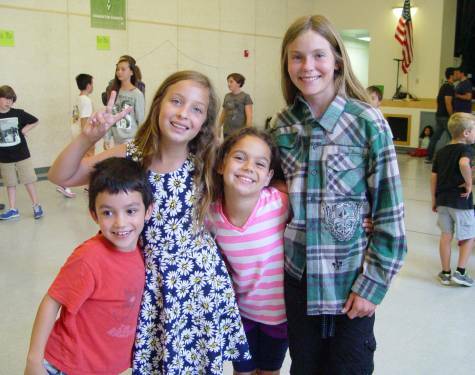 PAW’s top priority is the safety and well-being of our campers, and the peace of mind of our parents. In order to ensure this, we have created a comprehensive sign-in and sign-out system that is implemented at each of our camp locations. Sign In~ Every morning we require that our campers be signed into camp by the person that is dropping them off. The individual that is dropping off will sign their own name next to every child that they are delivering to the camp site. This includes carpool parents, relatives, etc. Children’s Personal Belongings ~ It’s at the time of sign-in when the person dropping off should double check that every child they deliver to camp has their lunch box, as well as any kits or gear they need for that day’s activities. This final check will provide parents with ample time in the morning to deliver those missing items to a child. 3:00pm is when our regular camp day ends with a courtesy pick-up period until 3:10pm. To help us create the best learning outcome for each camp and complete each day’s curriculum, we ask that parents allow their child to stay at camp throughout the full day. ALL campers must be signed out each day. 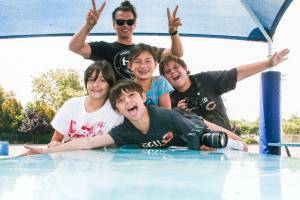 PAW’s top priority is the safety and well-being of our campers and the peace of mind of our parents. In order to ensure this, we have created a comprehensive sign-in and sign-out system that is implemented at each of our camp locations. Sign Out ~ Every afternoon we require that our campers be signed out of camp by the person that is removing them from camp. The individual that is picking up will sign their own name next to every child that they are removing from the camp site. This includes carpool parents, relatives, etc. AUTHORIZATION NOTES ~ For any special circumstances in which a child is being dropped off or picked up by someone other than a parent/guardian, or is walking to or from camp, we do require additional documentation and authorization. Please see the Authorization Notes section below! We at PAW understand that sometimes unforeseen circumstances present themselves and can cause inconveniences for our parents when it comes time for pick-up. Below we have broken down our pick-up information for each of our locations after 3:10pm! We have built into our day a courtesy pick-up window with supervised play from 3:00pm to 3:10pm at no extra charge! Our camp sites close at 3:20pm. If your child has not been signed out of camp after 3:20pm, a $1 per minute supervision fee will apply, which is paid directly to the teacher that remains at camp with your child. If your child has not been signed out by 3:20pm, they will automatically join extended day for a daily tuition charge of $20, and they will be more than welcome to remain at camp until 5:00pm. Upon pick-up you can choose to take care of the extended day tuition via Credit Card, Debit Card, or Cash. Our camps close at 5:00pm. After 5:00pm, a $1 per minute supervision fee will apply, which is paid directly to the teacher that remains at camp with your child. At camp sites where we are able to provide Extended Day, it is open to families that need the extra supervised play at camp, or for any campers that would like to remain at camp to spend time with their new PAW Pals! Campers attending Extended Day may remain at camp with teachers until 5:00pm at the latest. You can either add an entire session of Extended Day before the first day of camp at a discounted rate of $15 per day, or you can pay as you go and only join Extended Day on certain days at our daily rate of $20. Our goal is to make sure that the logistics and routines of the camp day can run as smoothly as possible for our campers, our parents, and our teachers. When it comes to camp arrival and departure, we do this by maintaining up-to-date forms both in the office and on-site regarding pick-up permissions and walking permissions so that you can be confident that your child is safe. Download the Pick-Up Authorization form. Fill in your child’s information. List all potential family members, friends, carpool parents, and babysitters that have your authorization to pick-up your child from camp. This can be updated as necessary. 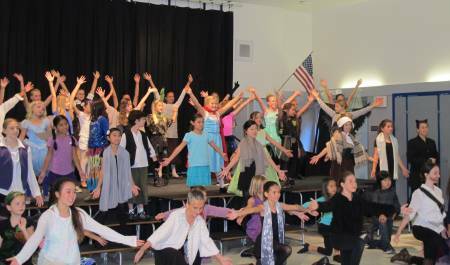 Send the form back to performingartsla@aol.com before camp begins. Download the Walking Note form. Select the days that your child has permission to walk to and/or home from camp. 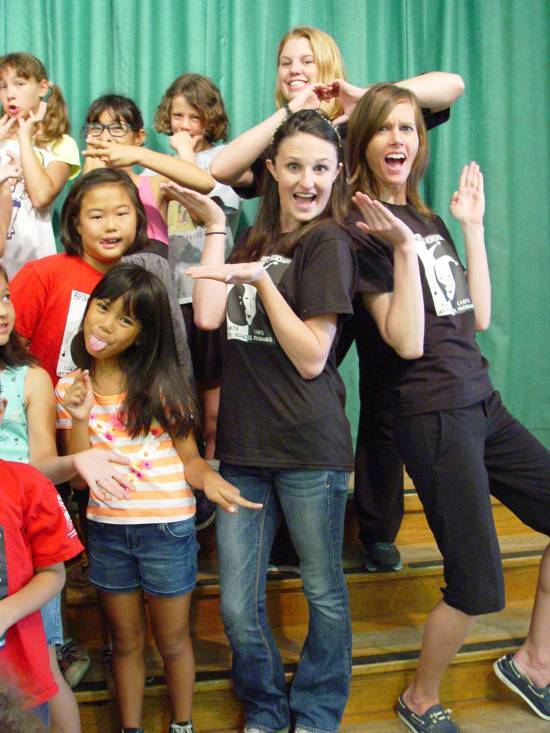 Send the form back to performingartsla@aol.com before camp begins! 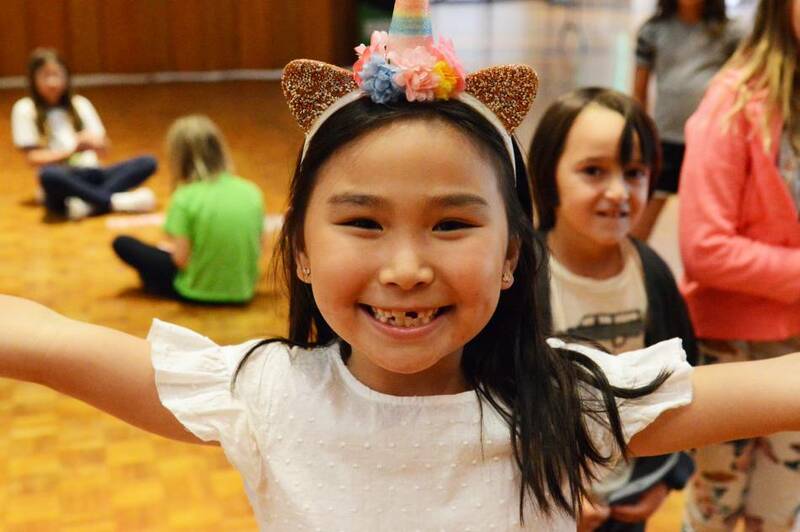 The camp day includes a lot of fun movement and physical activity, so it is important that campers dress in comfortable, camp-appropriate clothing that is easy enough to move around in that they can fully participate in all camp activities safely, easily, and happily. Girls can wear a t-shirt with pants, leggings, capris, or shorts. Girls are more than welcome to wear dresses or skirts, but they must have shorts or leggings underneath. All shoes should be either sneakers or velcro sandals. For safety, flip-flops and high heels are not allowed at camp. Boys can wear a t-shirt with pants or shorts. All shoes should be either sneakers or velcro sandals. For safety, flip-flops are not allowed at camp. A parent and camper favorite, our Official PAW T-Shirt is a quality souvenir of a summer spent at PAW, making new friends, and lots of fun memories! T-Shirts can be purchased before camp during registration at a discounted rate of $15, or they can be purchased during camp for $20. We have T-Shirts available in both child sizes and adult sizes! 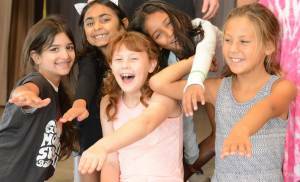 Friday Fun Day ~ We have special Friday Fun Day events with unique themes and exciting activities to celebrate the end of another amazing week at PAW! 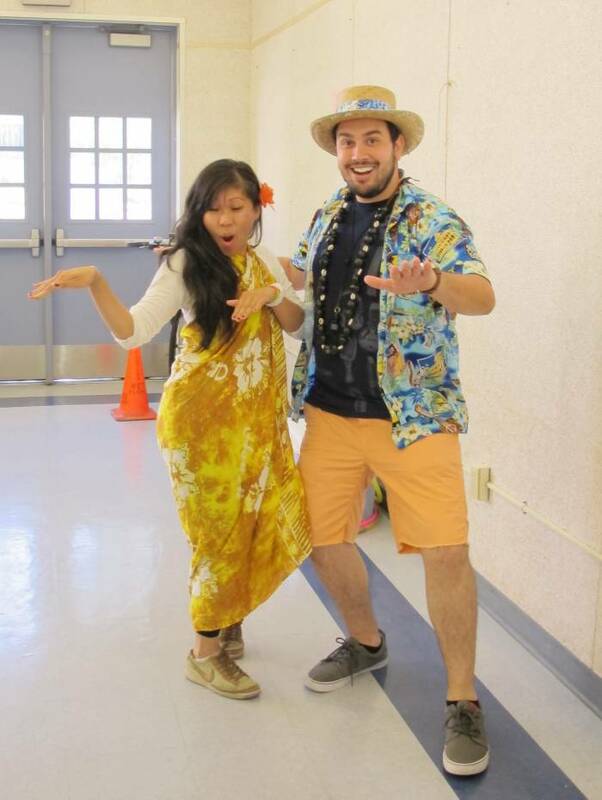 Campers are encouraged to dress up according to the theme. A Friday Fun Day schedule will be sent out via email before camp begins, and will also be available from your on-site Camp Director during your camp session! 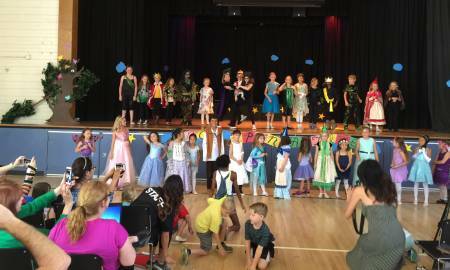 Costumes~ All special performance clothing or costumes are provided by the parents of our campers. In order to maintain our long-standing tradition of having no extra production charges for our parents, we have developed a DIY costume suggestion list that will guide you in using clothing items that your child may already have. 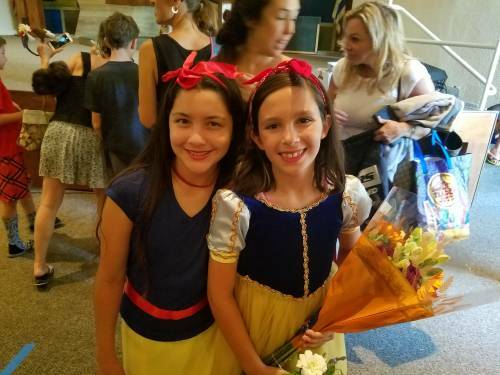 We encourage parents to be creative in putting together a costume that represents the character(s) that your child will be portraying in the show. The costume suggestion list can be found in the back of your child’s script, which will be sent home on the third day of camp. Use your imagination, have fun, and please do not feel obligated to buy anything extravagant! We are so excited to have you in our PAW Family and we want you and your children to be as prepared as possible for each camp day! The better prepared they are, the better their experience will be! Please reference this helpful list of items to have packed each day as you arrive at camp! Please be sure to pack a mid-morning snack for your child to enjoy. In addition to their mid-morning snack, each child needs a complete and filling lunch. And of course, they will also need a beverage, such as a bottle of water. An example of a typical packed sack lunch or lunch box for a child could look like: granola bar for snack, sandwich with apple slices, carrot sticks, crackers/chips, and fruit snacks for lunch, with a bottle of water or juice. Please keep in mind that our facilities do not provide any refrigeration for children’s lunches so make sure the items you pack for your child do not require refrigeration, or you may pack their food in an insulated lunch box with an ice pack for any food items that need to be kept cold, such as yogurt or string cheese. 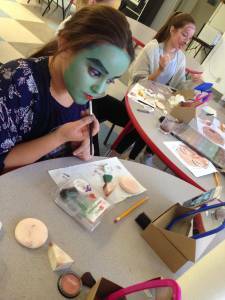 On the first day of camp, children attending our Magic and Makeup Camps will be provided with a special personal kit. Please remember to bring your kit back to camp each day. We want you to enjoy practicing with them at home, but you will need them with you to participate in the camp curriculum. 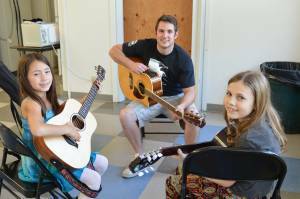 For our campers attending Guitar Camp, please remember, you must bring your acoustic guitar with you each day of camp! While we do in some cases have campers who additionally bring electric guitars to camp with their own mini-amps, we cannot guarantee that our campers will have access to electricity at all times during the camp day. 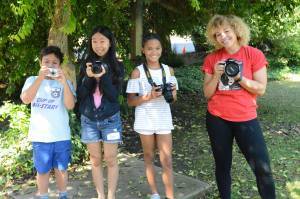 For our campers attending Photography Camp, please remember to bring your camera and 8GB flash drive to camp each day! Please be sure to charge your camera battery the night before. As a precaution, you may also want to have an extra camera battery and/or battery charger with you at camp. 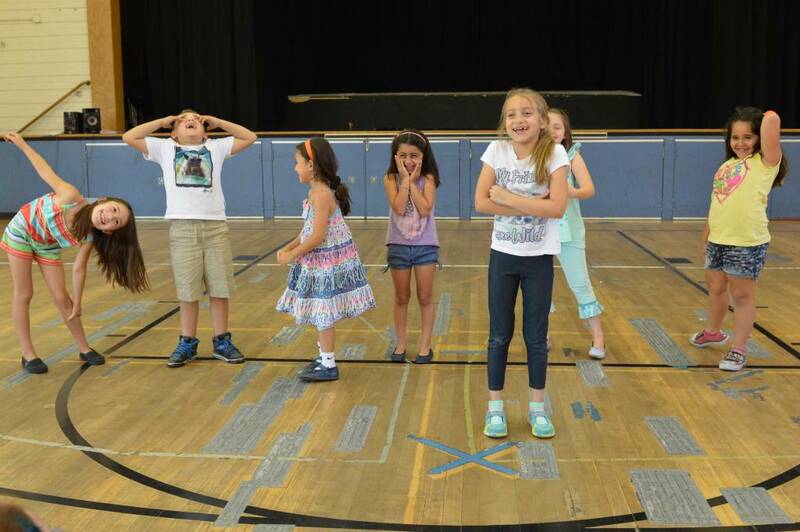 For our campers attending Musical Theater Camp please be sure to bring your scripts to camp each day. For our campers attending Filmmaking, Rock The Mic, CAMP LOL, or CAMP WOW please remember to bring the notebook that PAW provides you with to camp each day. Although the majority of the camp day will be held indoors, it is up to you to feel free to apply sunscreen to your child before they arrive at camp or send a bottle of sunscreen so they can apply it to themselves later in the day. This is not a requirement, but something to consider if sunscreen is already a part of your child’s daily routine. Nothing is more important than protecting your child’s health and well-being. To ensure PAW’s ability to fully participate in protecting each child’s welfare at camp, we do require parents to disclose all allergies, medications, disabilities or special needs their child may have. In some circumstances PAW is able to, with written permission, help administer simple medications. On the first day of your session, get there early (by 8:15am) and introduce yourself and your child to the on-site camp director. On any medications we have agreed to assist with, make sure to clearly label your child’s name as well as instructions on their use. All medications will be given to the on-site director for safekeeping. 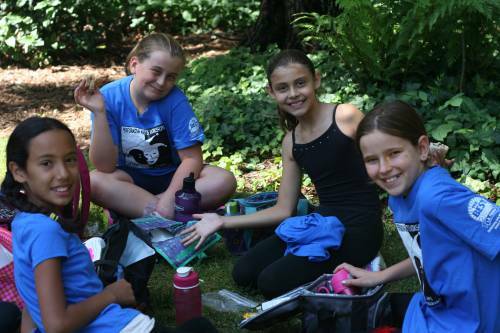 Just like a school day, a day at camp is jam packed with fun learning and socializing opportunities, which requires your child to be well hydrated, well fed, and well rested to sustain the energy needed for a great camp day! 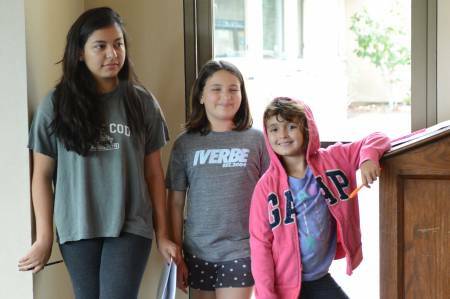 Please make sure your child has had a sufficient amount of sleep and a well-balanced breakfast to best prepare them for all of the fun and exciting learning opportunities they will encounter at camp! At PAW, safety is always at the forefront of our minds. And we know how important it is for parents/guardians to feel confident that their children are in good hands. For that reason we have a procedure in place to ensure that the lines of communication are open and efficient. This procedure enables information about our campers to be passed accurately and confidentially, without removing teaching staff from the supervision of the children, ensuring safety at our camp sites. As a parent/guardian, you can have comfort in knowing that we are working hard to make sure this line of communication is running as smoothly as possible! PAW Camps are a “Cell Free Zone” for campers. 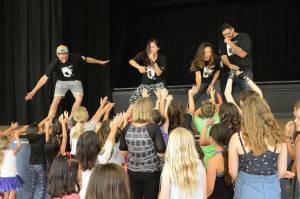 We do this to help our kids stay present, engaged in our daily activities, and connected to their camp experience. Our campers who have cell phones will keep them zipped up in their backpacks and not accessible during regular camp hours. For this reason, we encourage all of our PAW moms, dads and guardians to become familiar with our communication procedures below. Of course, parents/guardians who wish to relay a message to their children can call our PAW office directly. 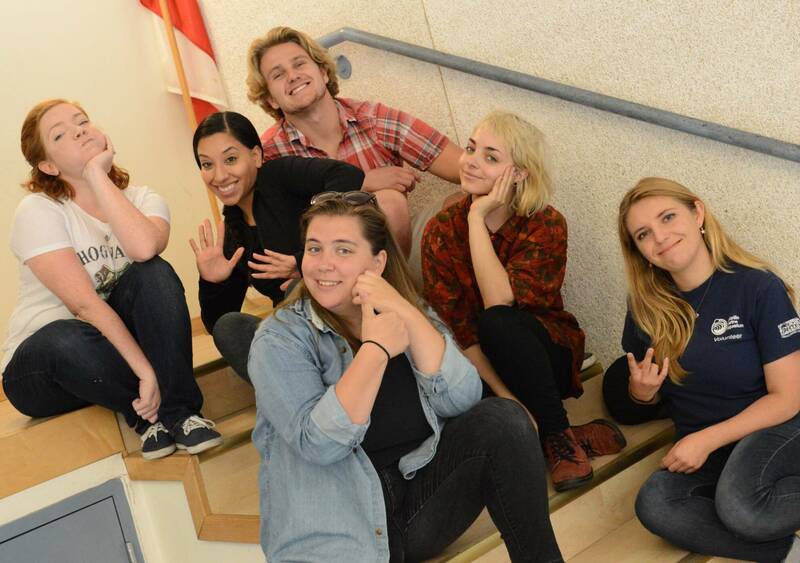 In addition to our regular outgoing phone calls from the PAW office to our camp sites, our on-site staff of directors and teachers are required to call in to the PAW office multiple times a day to keep the lines of communication flowing smoothly. 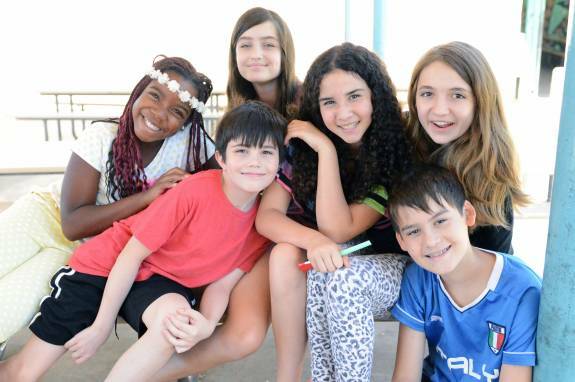 This is the best way to be sure that any important information about each camper is directly relayed to the appropriate staff member, and any notable event that needs to be reported to a parent will be communicated efficiently without removing teaching staff from the supervision of the children. The more we can keep our teachers in the classroom, engaging and supervising our campers, the better we can serve you and your child. 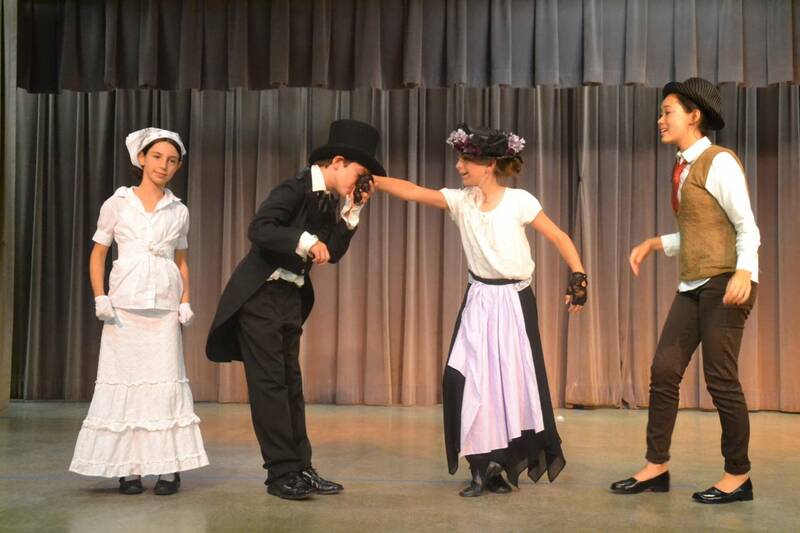 We encourage parents/guardians to speak with the on-site camp director regarding casting, costuming, or ways to encourage their child who may have some shyness or separation anxiety. In these cases, please arrive at camp early, between 8:00am – 8:15am, to ensure time with the on-site director. Also, if you have previously disclosed to the PAW office that your child will be taking any medications or has any special needs, please show up early on the first day of the camp session to introduce yourself and your child to the on-site director. For all other questions regarding camp, or if you have a question during the regular camp hours for any one of our on-site staff members, please feel free to call the PAW office. We will gladly hear your questions and address them with our on-site directors immediately as necessary. Of course, once we have gotten the information you are requesting we will be sure to return a call to you in a timely manner. There may be times when we need to contact you, the parent/guardian. Please be mindful that when your child is in our care, at our camps, to answer your phone if you receive a call from the PAW office. You can go ahead and save our office number in your cell phones and address books, as any and all communication from PAW will be coming to you from this number (310) 827-8827. Some examples of times we may need to contact you while your child is at camp are: if your child has left their lunch box at home and you need to bring food to camp, if your child feels ill, or your child has not been picked up from camp. 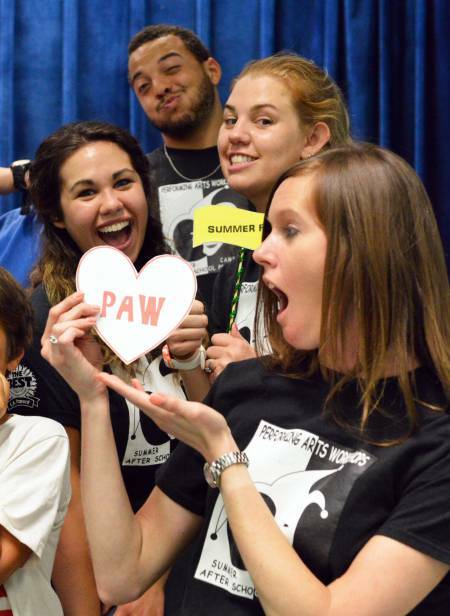 PAW Camps close so that our families can spend the holiday together. Here is our schedule for camp sessions that are affected by the holiday. 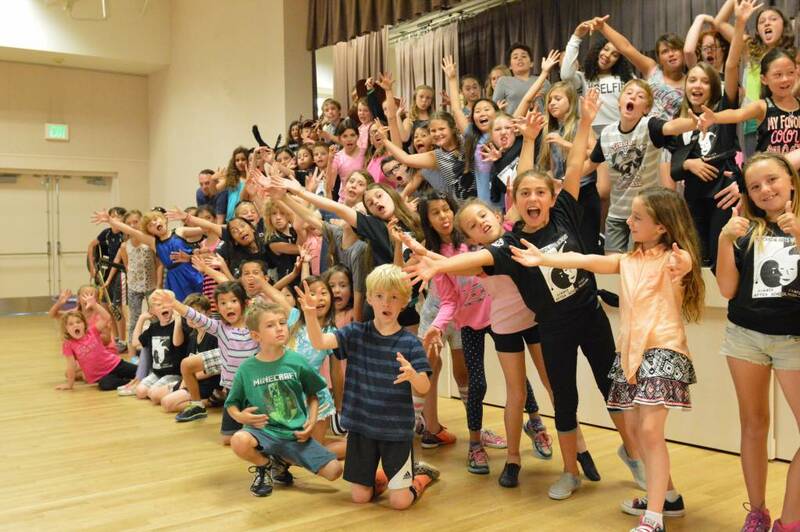 2 Week Camps ~ If your child is attending a two-week camp during the week of 4th of July, the schedule is adjusted accordingly so that the campers are still able to have that extra 7 hours of valuable curriculum and rehearsal time in order to prepare for their final performance. Beginning on the 2nd day of camp, the camp day will officially begin a half hour earlier at 8:15am, and the camp day will officially end a half hour later at 3:30pm. 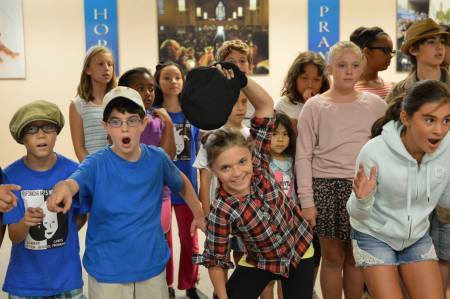 1 Week Camps ~ If your child is attending a one-week specialty camp during the week of 4th of July, the tuition has already been adjusted to accommodate the holiday off and camp hours remain 8:45am – 3:00pm. Extended Day ~ During our Holiday Schedule, Extended Day is from 3:40pm – 5:00pm. Special Note ~ This schedule is also in affect when the 4th is on a Saturday or Sunday and the day before or after is deemed a legal holiday forcing locations to close for either the 3rd or 5th. Call us for details. As educators who have experience with children of various ages and interests, it is important to us that we are providing our campers with the most developmentally appropriate curriculum and activities possible! In order to achieve this, throughout the camp session we may group the campers according to their age and/or individual aptitudes or activities. The daily camp schedule is designed so there are multiple opportunities each day for campers of all ages and specialties to be with each other. 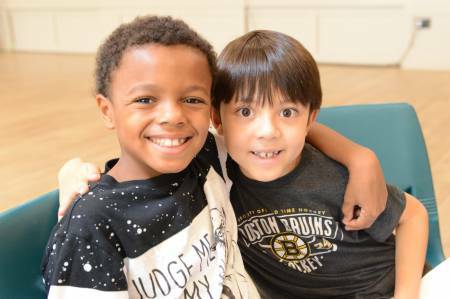 They will be together for the play periods during morning drop off, mid-morning snack and lunch, as well as at the end of the day during camp pick-up. We also have exciting activities for the full camp which include group games, photo sessions, Friday themed events, and so much more! 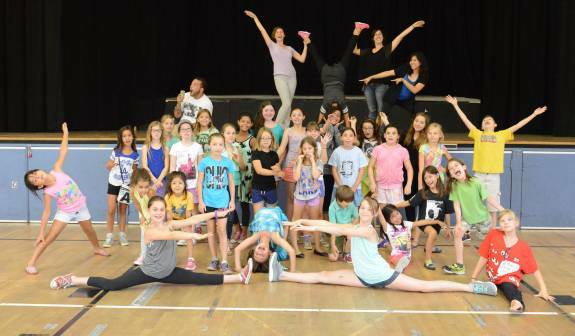 There will be times throughout the day when your child is engaged in camp activities, workshops, and rehearsals which may necessitate your child being apart from siblings and friends because they are in different specialty camps, or because they are in different age or peer groups. 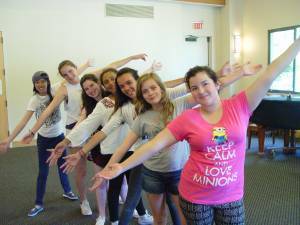 Our Musical Theater campers will delve into a rotation of workshops including voice training, acting technique classes and choreography/dance. 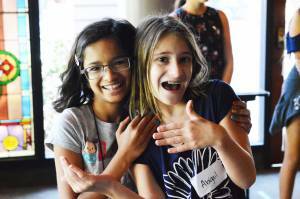 In these morning workshops, the campers will be split into age-appropriate peer groups, which has facilitated the best learning outcomes for our campers. 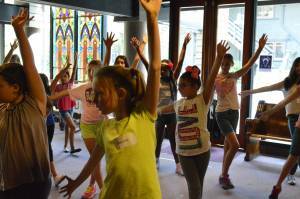 The techniques they learn in the morning workshops will be applied in the afternoon rehearsal process when the musical theater campers come together as a full cast to assemble the production. It’s a full day, with lots of art and lots of play! 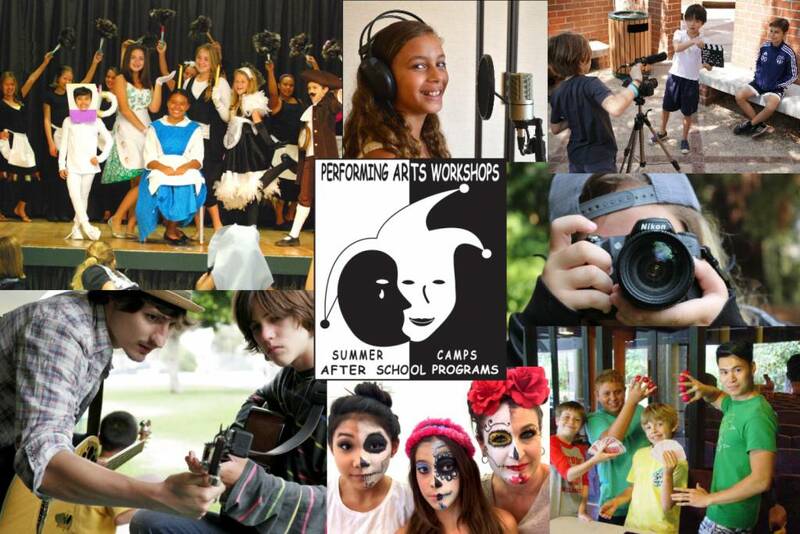 The diverse camp opportunities and possibilities that we provide our campers sets PAW apart from other Arts summer camps! 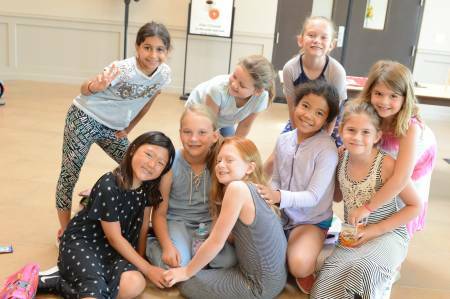 Many campers think of PAW as a special summer camp universe that unites old friends, new friends, and teachers with different interests and experiences across our nine locations to achieve one goal: to have a great summer with the perfect PAW schedule! 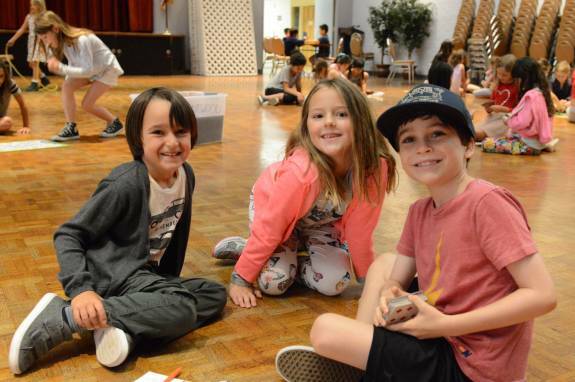 Parents are able to meet their planning needs, scheduling camp around summer school, family vacations, and extracurricular activities by mixing and matching sessions within one location, and even mixing and matching sessions that are available at nearby locations. 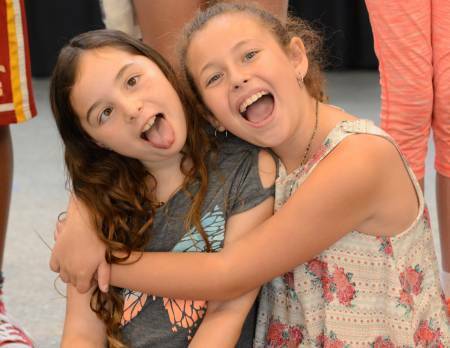 PAW campers love returning to camp with their favorite teachers, following their favorite teachers to new locations, and seeing familiar faces and making new friends at different locations every summer! 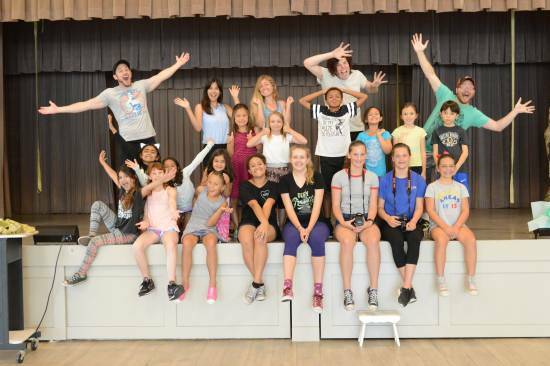 If you have one child that is passionate for performing on stage, you can book out their entire summer by mixing and matching Musical Theater sessions with Camp LOL and Guitar! If you have multiple children with completely different interests, but would LOVE a single drop-off in the morning and a single pick-up in the afternoon, we have lots of options for you to mix and match a summer that makes everyone happy, whether they love being on stage, being behind the scenes, creating visual art, or even writing and being creative! At each camp location, we have formed cohesive, energetic teams of professionals to work with your children. 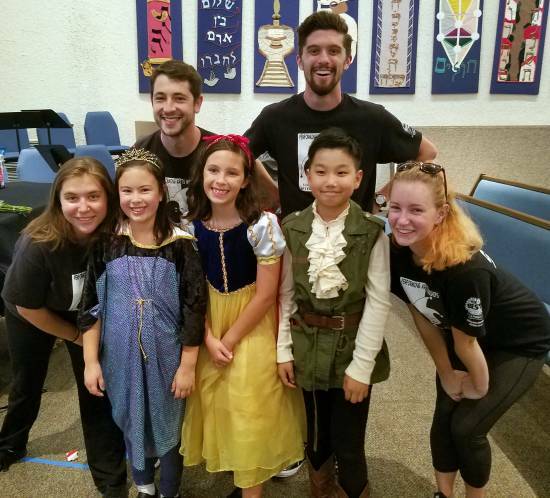 Often, campers will return to camp for additional sessions throughout summer in order to work with a specific Musical Theater teacher or on-site Director that made an impact on them. 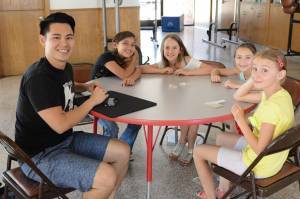 We also have campers that fall in love with a particular specialty program and connect with a particular teacher, for example Magic, and choose to follow that specialty teacher to some of their other PAW locations throughout the summer. If you are trying to piece together the perfect summer for your child, check out our Schedules At-A-Glance page to see what is available at your nearest camp location, as well as what is available at locations that are just a short drive away. PAW also encourages parents to take advantage of our unique discounts in order to maximize your child’s summer while also receiving the most savings possible. Whether you are a returning family, a new family, have multiple children attending camp, or are interested in multiple sessions of camp, we’ve got savings for you! 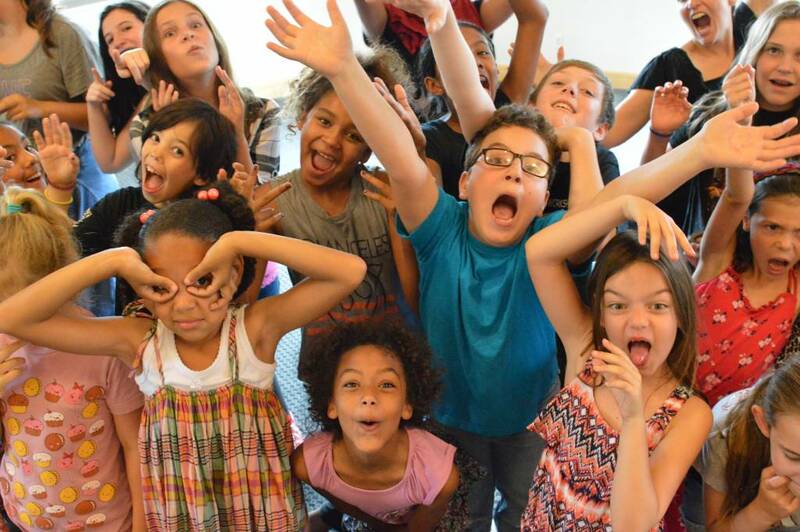 As a final touch on planning your child’s summer experience, we also have many additional PAW Perks available including TheaterGrams, VIP Seating, raffles, and so much more! Check them out! 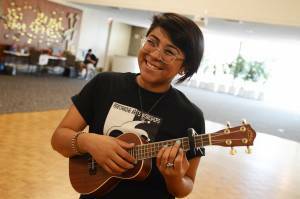 PAW is proud to be an Arts program that warmly welcomes and serves campers of diverse needs. In order to best support your child, PAW requires parents to disclose any allergies, medical needs, and/or special needs that your child may have at the time of registration and we will need your assistance on how to best serve them while at camp. 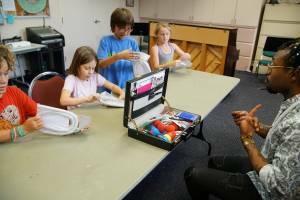 In order to provide campers with a quality Arts Education, PAW instructors have extensive specialized training in their arts discipline and field of expertise. However, they do not have medical training, nor do they have specialized training to work with children with disabilities and special needs, so they will be unable to support certain medications at camp. Please contact the PAW office for more information and to discuss your child’s specific needs. At PAW, our goal is to meet the needs of our campers with allergies, medical needs, and special needs, while also ensuring that the needs of our entire camp community are being met. We strive to ensure that the safety, well-being, education, and camp experience of all of our campers is top-notch at all times! From the page to the stage…your big day is here! 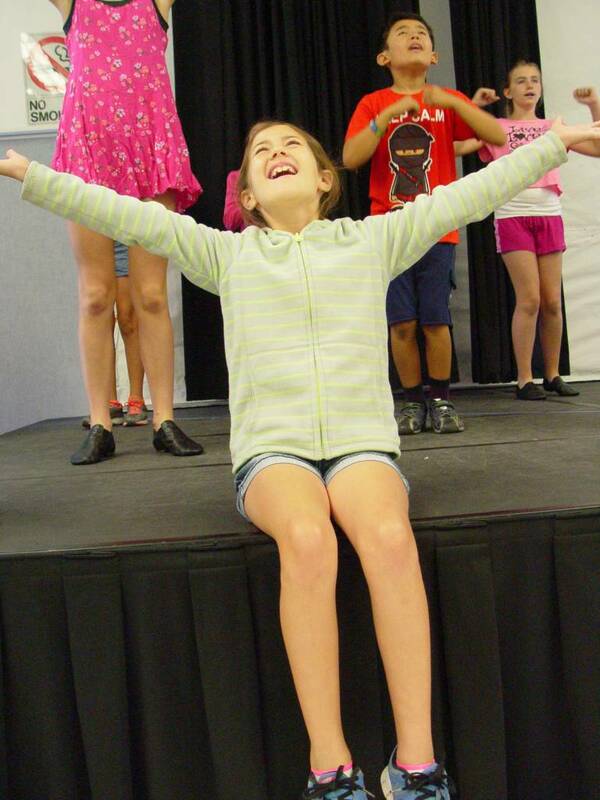 We pride ourselves in making our campers’ experiences in theater as friendly and positive as possible. 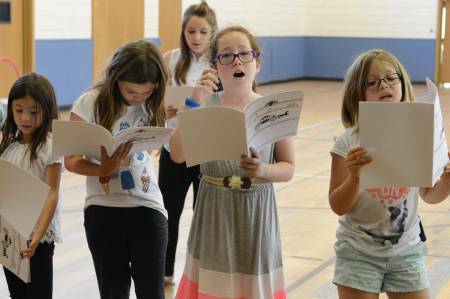 It is for this reason that we do not ask any camper to audition in order to attend camp or to receive a part in the show. 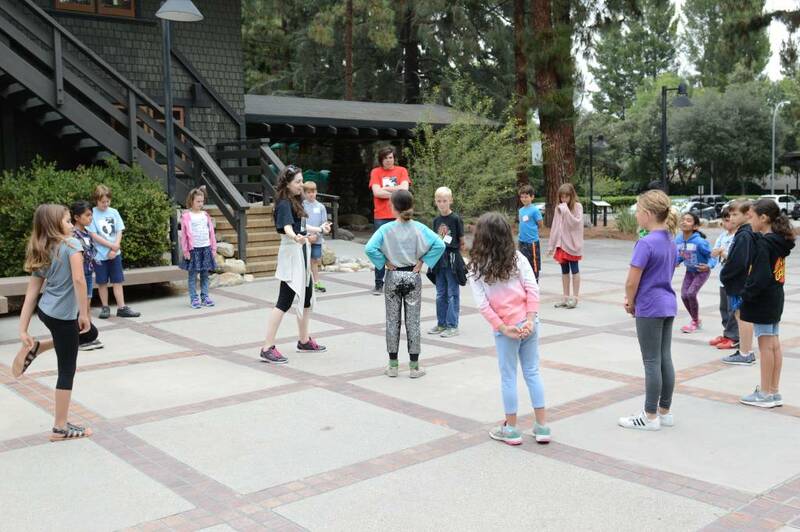 Instead, for the first two days of camp, our teachers will watch the campers participate in their workshops and activities, and they will assess their strengths and comfort levels. Then, on the 3rd day of camp, every child is assigned a role that they will excel in while continuing to develop their individual skills. 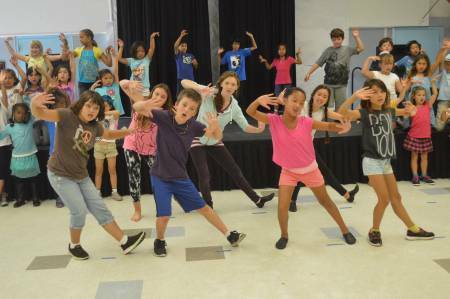 We believe that this is the best way to bolster our campers’ confidence, which is our main educational goal as an Arts program for children. 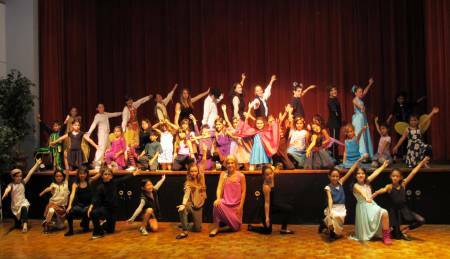 All special performance clothing or costumes are provided by the parents of our campers. In order to maintain our long-standing tradition of having no extra production charges for our parents, we have developed a DIY costume suggestion list that will guide you in using clothing items that your child may already have. 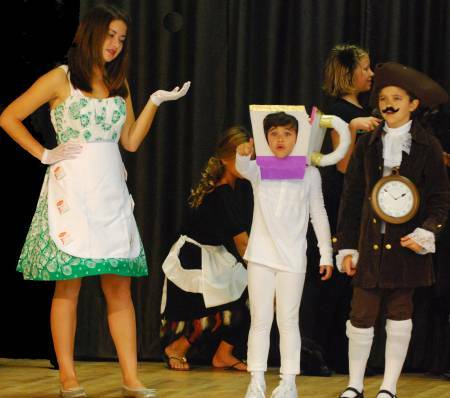 We encourage parents to be creative in putting together a costume that represents the character(s) that your child will be portraying in the show. The costume suggestion list can be found in the back of your child’s script, which will be sent home on the third day of camp. Use your imagination, have fun, and please do not feel obligated to buy anything extravagant! 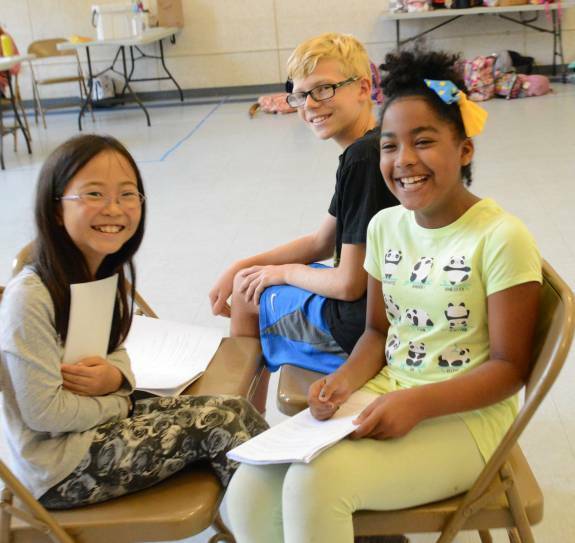 On the last day of every Musical Theater camp session, a culminating performance will be held for our campers to share all that they have learned with their friends and families! 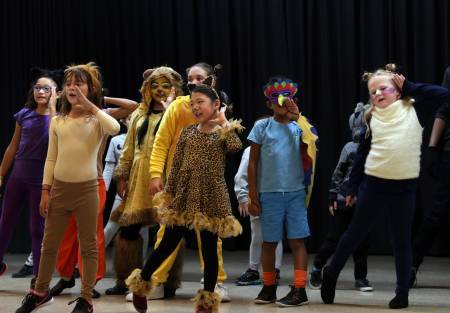 The show will include the Musical Theater production, as well as excerpts and special moments from the daily workshops across all of the camps that are in that session. 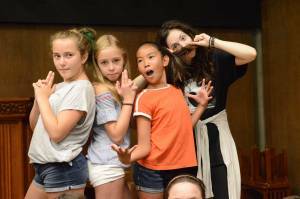 Musical Theater campers need to come to camp in their costumes, ready for a morning dress rehearsal, and they will remain in costume through the final curtain call! The doors open by 1:30pm and the show begins promptly at 2:00pm. 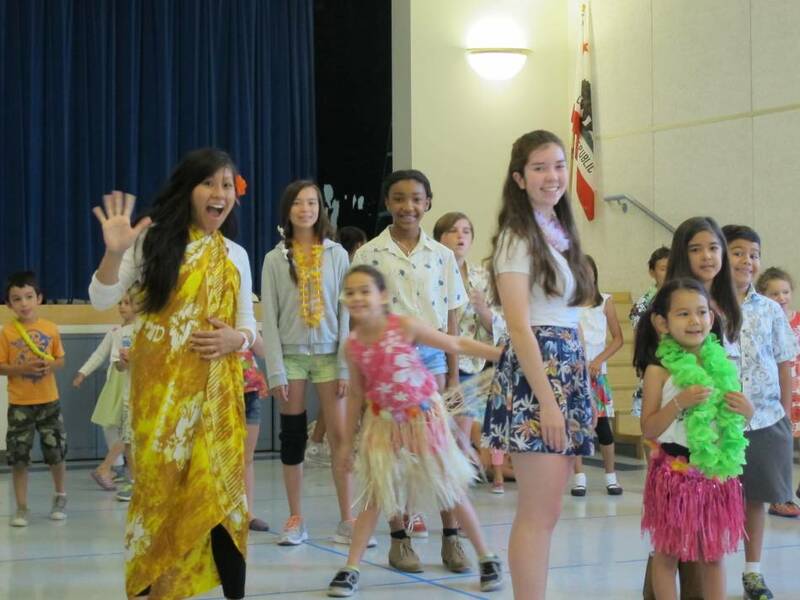 Our camp performances are always free and attended by our campers’ friends and family! Since we do not sell tickets with assigned seats for our final performances, our audience seating is primarily first come first served. You can arrive at the venue early on the day of the show in order to get a spot in line when the doors open and have your choice of all available seating! You may enter our “GOLDEN SEATS RAFFLE” to win the two best seats in the house! Tickets are just $5 each and can be purchased from the Camp Director. The Golden Seats Winner will be announced minutes before the kids take the stage! All proceeds from this raffle benefit our Summer Camp Scholarship Campaign. 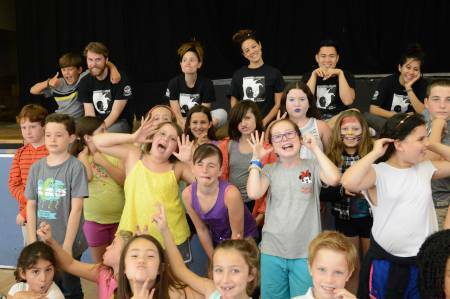 With a donation to our Summer Camp Scholarship Campaign of $45 for 2 VIP SEATS or $60 for 4 VIP SEATS you will guarantee that you have seats reserved with a personalized commemorative silver certificate in the first few rows! These seats are limited. 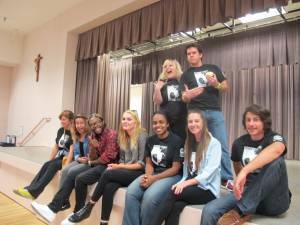 Visit our GoFundMe site to reserve your seats today! during and after the performance! All cameras must be battery operated. 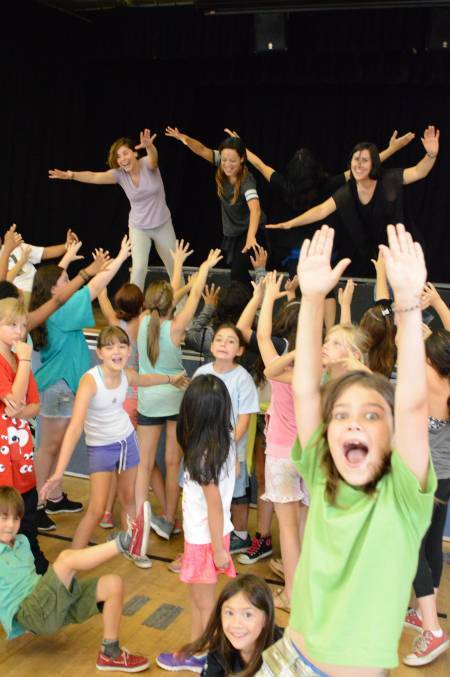 The parents of our campers that are attending 1 week programs that have a final day that falls on a FUN FRIDAY instead of a Musical Theater show day, will get the opportunity to see their children showcase what they have learned in the last 30 minutes of the final day of camp. 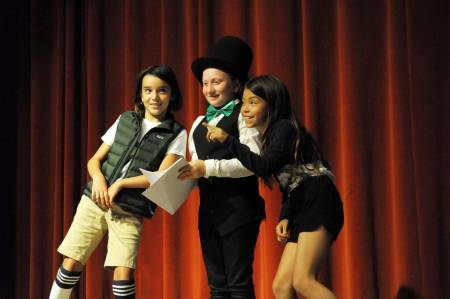 Our LOL campers will get to show off their routines, our Magic campers will get to showcase their close-up magic acts, and our Photography campers will get the chance to display their finished art work in a gallery style setting during this time. 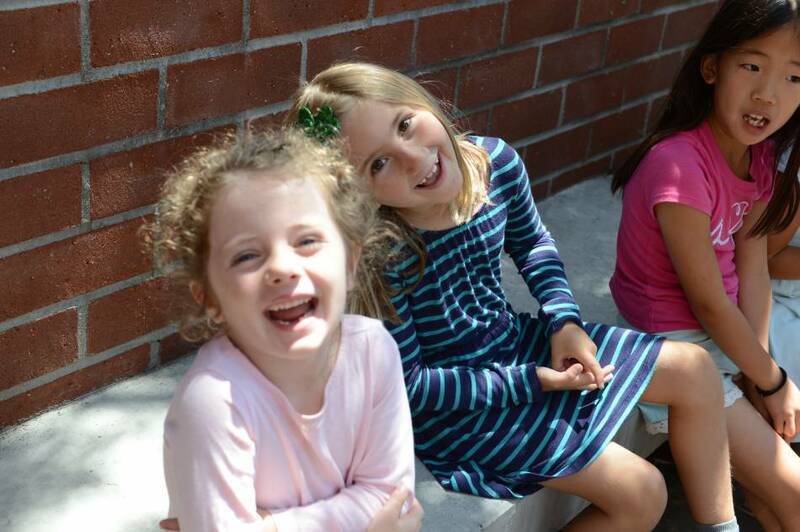 At PAW, our goal is to ensure that every child is a “Happy Camper”. This section can be your guide to helping you and your child choose the perfect PAW activities, making the most out of their camp experience, creating the best mindset, as well as guiding you through helping your child if they may be shy or deal with separation anxiety. Ask: While you’re in the beginning stages of planning your child’s summer, ask them about their interests. Show them all of their PAW Camp options and see what excites them the most. Summer break is a fantastic time to explore the seeds of interest your child exhibits, and see if those seeds might grow into full-blown passions! Talk: Connect with the parents of your kid’s friends to get an idea of what they are planning. It might even give you the chance to coordinate your schedules so your kids can go to sessions of camp together! 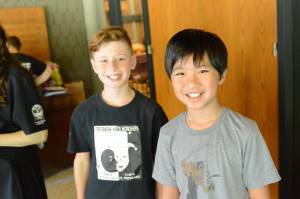 Kids get even more psyched up for camp when they already know they will see a friend there. Watch: Help your child choose between PAW Camp programs, but also let them feel independent. Let them explore our website with you by their side. 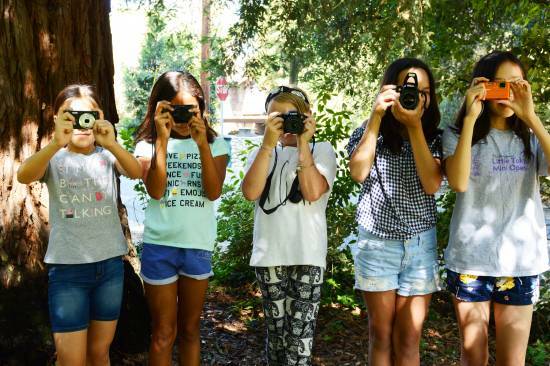 Check out videos, pictures, and descriptions that paint a full picture of what campers do on a day-to-day basis. 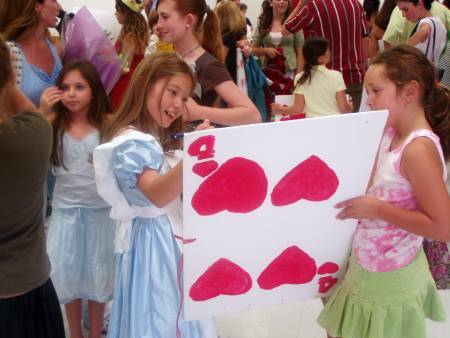 If your child chooses their favorite PAW camp theme, they’ll be that much more committed to having a good time! Mix & Match: There’s no limit to how many activities your child can do! Now is the time for kids to figure out what they enjoy, what excites them, and what they want to grow their skills in! 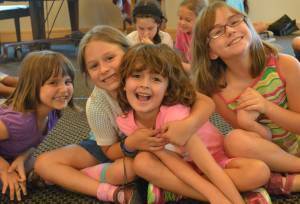 Prepare: As camp approaches, get your child in a positive mindset! Re-watch the videos from the website and retell the memories that originally got your child excited about their summer. Rest: Make sure they get plenty of sleep the night before every camp day so that they have lots of energy to have as much fun as they possibly can! On the first day: Arrive early, so you can take your time signing your child in, introducing them to the teachers and helping show your child the layout of the camp. By taking the time to help your child familiarize themselves with the camp environment, you help put them at ease. Hang Out: Stay with your child until he or she finds another child to play with. You can also be proactive and introduce your child to another camper and encourage them to play a game together. By taking the extra time with your child on the first day, your child will sense you are not in a rush to leave and therefore feel more confident. Inform: For younger children especially, discuss who will be picking them up and when, but do so before arriving at camp as you don’t want your departure becoming a stressful event. 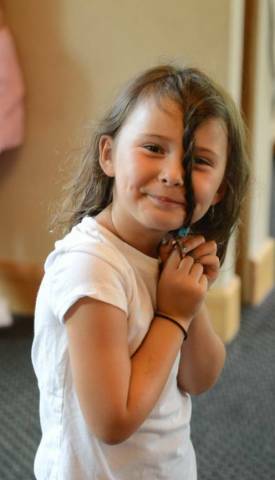 Connect: For parents who have children that are prone to crying when you leave, before departing the camp site, ask a staff member or older, experienced camper to play a game with your child. By having your child engaged in an activity, you take their mind off the stress of being separated from you. Stay Positive: Dropping a child off at camp can cause anxious moments for parents, too. Keep the moment of departure very positive. Trust your judgment and know when it is time to leave. Some children don’t stop crying until a parent has gone. Over the years we have had great success by encouraging parents of these children to leave the room, but stay just out of sight until we give the signal that all is well. In most cases this takes less than five minutes. While it is true no one knows a child better than their parent, a child will often behave differently with a teacher than with their mom or dad. For many children, their sense of identity and independence kicks in only once their parent leaves. Finally, each day you drop off your child, tell them you love them and wish them a wonderful day at camp! 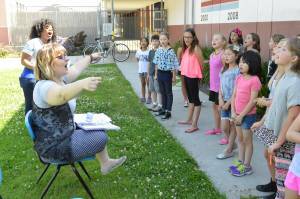 One of the key components to the success of PAW’s Award-Winning summer camps are the teachers. 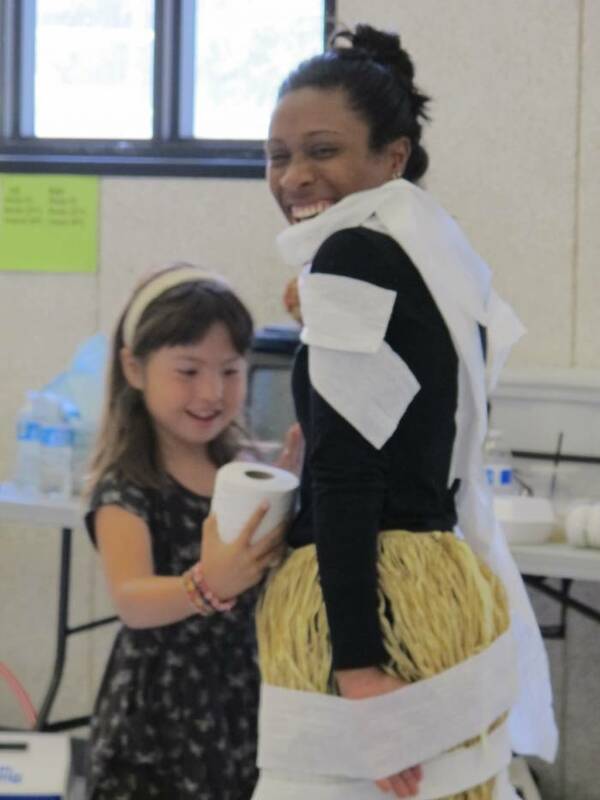 Our teachers come from a diverse array of backgrounds and disciplines, but the one thing they have in common is: fun! 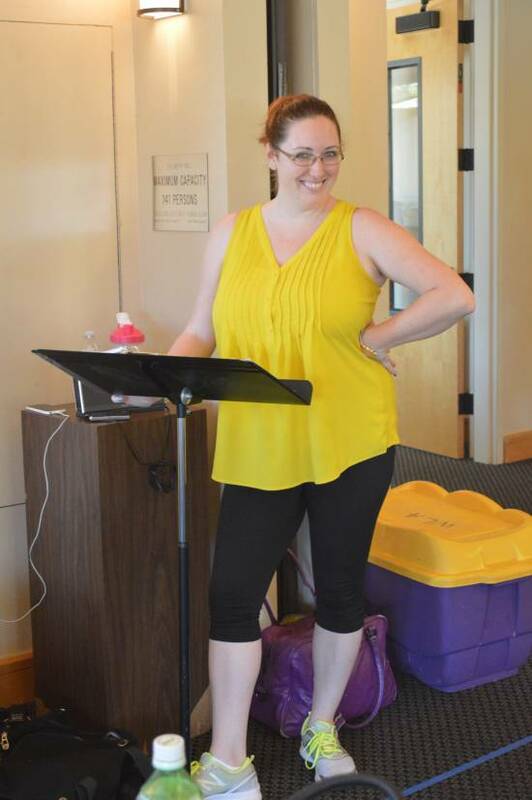 All of our teachers have a high level of training and proficiency in their respective Arts Disciplines, but just as importantly, they also have the “gift” of being able to impart curriculum in an engaging, entertaining manner. Your children’s safety and enjoyment of the camp experience is of paramount importance to us. PAW’s teaching staff are screened and vetted extensively before being placed to work with your children. Our teachers are professionals working in their respective fields, have or are working toward their Bachelors or Masters degrees, and have prior experience working with children. To ensure every child has a chance to receive individualized attention, our teacher/student ratio is 1 adult for every 10 to 12 children. Additionally, our teachers are also required to submit to and clear a criminal background check.